In this video we go through common problems that will prevent your yoyo from sleeping to its full potential, and how to fix it. Why Won’t My Yoyo Sleep Longer? 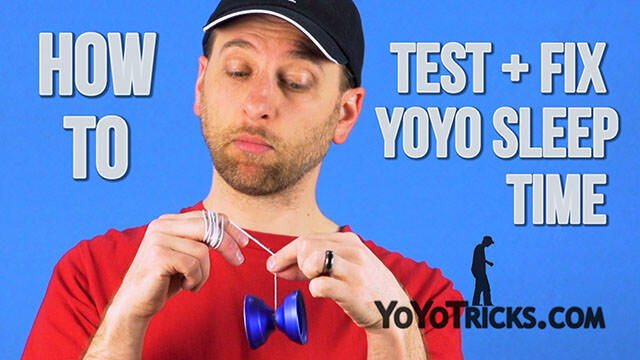 How To Test And Fix Your Yoyo Spin Time Yoyo TrickAre you the type of person who is always wondering, why doesn’t my yoyo sleep long enough? Is it broken, or is it me? In this video we are assuming that you are here because your yoyo is not sleeping the way you think it should. Now, If your yoyo is not sleeping at all, then we have another video that will help you out with that, called Why won’t my yoyo sleep at all. We are also not going to teach you how to throw the longest sleeper possible in this video, because that might involve buying a specific yoyos, or specific bearings or lubricants. In this video, all we are interested in is solving any problems that you might have with a yoyo you currently own. What we are going to do in this video is help you discover whether or not your yoyo has a problem, and if it does, we are going to try to help you fix it. To do this, we are first going to teach you a reliable method to test the sleep time of your yoyo. Then, we will give you a range of sleep times for various types of yoyos so you can tell if there is actually a problem with your yoyo, or if your yoyo is already working as well as it can. 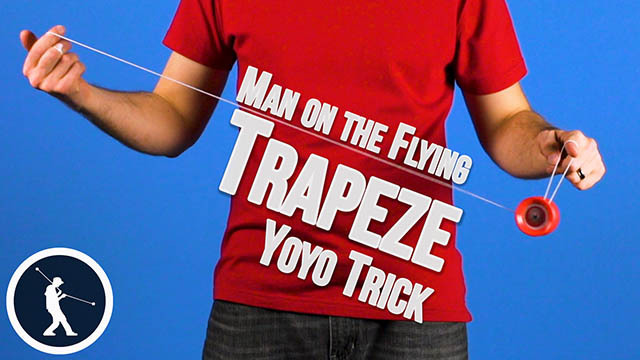 Now, if you are wondering why your yoyo is not sleeping very long when it is on the string, that is actually a slightly different question, and we address that problem fully in our Man on the Flying Trapeze video, where we go into detail about techniques and how to overcome problems with losing sleep time on string tricks, so you definitely want to check that video out if that is the problem you are having. 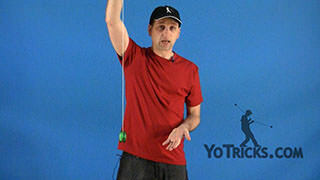 To get started, we are going to teach you two methods for testing the sleep time of your yoyo. The first one is called the Drop Test, and it tests the minimum sleep time of your yoyo – or what we call the lower threshold, and the second one tests the maximum sleep time – or the upper threshold. Luckily, the Drop Test is easier to perform, it doesn’t take as long, and it is actually more useful for determining if your yoyo has a problem or not. So, to test the lower threshold or minimum sleep time of your yoyo with the Drop Test, first make sure that the string on your yoyo is tightly wound. Then, hold your hand out palm down and just drop your yoyo. Count how many seconds it sleeps until it dies, and that gives you the lower threshold of sleep time for your yoyo. Now, depending the type of yoyo you have, make sure to test it a couple of times, and if you find that even once, it sleeps longer than these numbers, your yoyo is ok. Most of the time, if your yoyo has a problem, then it will sleep well below these times. So even if it is close but not quite there, your yoyo is probably ok. But if you are testing with this method and you find your yoyo only sleeps half the time or less, then you almost certainly do have a problem. We will try to help you solve that later in this video. When you are testing the maximum sleep time of your yoyo, or the upper threshold, you want to make sure that you give it a straight, powerful throw, and make sure that the string is not touching the sides of the yoyo. Then you just want to wrap the string around your fingers and bring the yoyo up. This will allow you to more easily see how straight your throw was. Now, chances are, it does not even matter how good you are, your throw is not going to be perfectly straight. Now, this throw is pretty straight, but even if it was not, watch what you can do. If you pinch the string just above the yoyo and untwist the string just a little bit, you will see that the yoyo is going to start to lean. It does it pretty slowly. You can see that it is starting to tilt a little bit this way. Now, if you want to tilt it the other way, all you have to do is just tighten the string down onto the yoyo. You can see now it is tilting the other way. That is a good way to adjust the string so that as the yoyo is sleeping, you can correct the tilt so that the string never touches the side of the yoyo, which will give you the most accurate representation that you can of how long that particular yoyo can sleep. Then the rest of it is, of course, just sitting there, watching it, making sure that it does not move around too much until the spin dies. And that test will give you the upper threshold. Now, like we said, if it passes the Drop Test, 9 times out of 10 there is nothing wrong with your yoyo and you just need to improve your throw or technique during tricks. Now, if you came to this video because your yoyo is not sleeping more than say a minute or a minute and a half, remember, no trick really takes that long to perform, so it isn’t really a problem that will hold you back as you practice. Now that we know how to test the upper and lower thresholds of your yoyo, we are going to take a closer look at 4 different kinds of yoyos: Brain or Clutch yoyos, Fixed Axle yoyos, Responsive Ball Bearing yoyos, and Unresponsive Ball Bearing yoyos. Brain yoyos are yoyos that have a clutch on the inside that will keep them from sleeping until you have a sufficiently powerful throw. 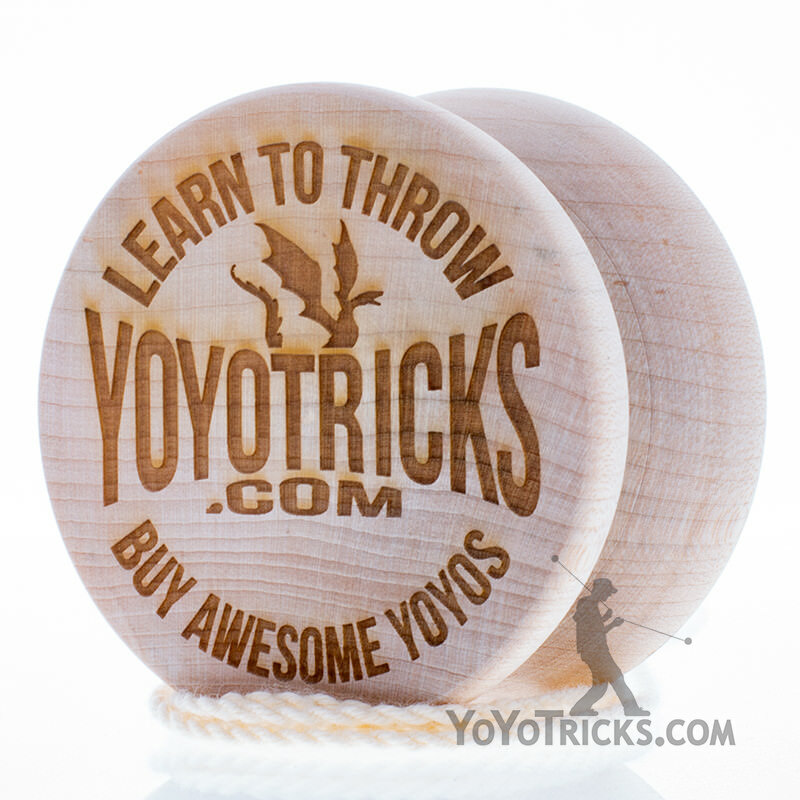 Once you have got your throw down, these yoyos have a sleep threshold of about 0-20 seconds before the clutch will activate and bring the yoyo back to your hand. 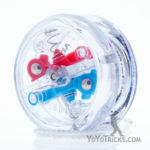 So, if you were to just drop a brain yoyo, it will not sleep at all, because you need enough spin to open up the clutch mechanism on the inside to make it sleep. So, if it is your first yoyo, you may feel like you are throwing super hard, but chances are you are still not throwing quite hard enough to get it to sleep, so just keep practicing, and it should start working on its own. 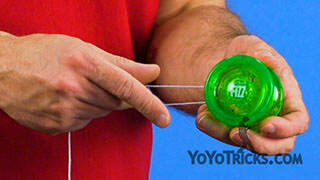 Now, if you are afraid there is a problem with your yoyo, it may be that the string is not on the yoyo properly. The string needs to be wrapped around the axle 2 or 3 times, but not knotted around the axle, and we show how to do this is in our video How to Put a string on a Yoyo and Adjust it for Play. Also, you may want to take your yoyo apart and make sure the axle is installed correctly. Basically the side with the o-ring needs to be inserted into the side with the clutches. So, if you want your yoyo to sleep longer you can remove that the o-ring, but this will keep it from returning automatically. 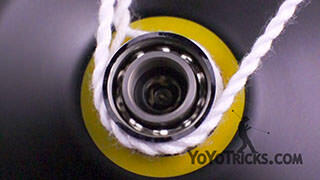 Fixed axle yoyos have a sleep threshold of 3-15 seconds. So, if you drop your yoyo and it sleeps for 3 seconds or more, there is nothing wrong with it, you just need to improve your throw. Now, if your yoyo is only sleeping for like a second or less when you drop it, first check your string tension to make sure that it is not too tight. You can also make sure that it is only looped around the axle 1 time. Also, look at the axle and make sure it is smooth because some Duncan yoyos with metal axles, like Butterfly and Imperials, if the axle is not centered it can have a rough surface that will keep your yoyo from sleeping as long as it should. Responsive ball bearing yoyos have a sleep threshold of 5-45 seconds. Again, if you drop your yoyo and it sleeps for at least 5 seconds, most likely there is no problem with your yoyo. Now, if you are concerned that your responsive yoyo does not sleep more than say, 45 seconds, again, it is quite difficult to get any responsive yoyo to sleep longer than that. Now, if your yoyo is not sleeping even 5 seconds when you drop it, or if it cannot even sleep 10-12 seconds with your best throw, that usually means that the bearing is not spinning. 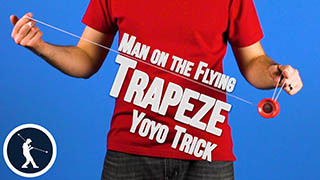 This can happen if you over-tighten the yoyo, so you can try loosening it just a half turn and see if it works better. It can also happen if the bearing has gotten rusted or locked up so that it is not able to spin at all. If that has happened you can try adding a drop of thin yoyo lube to free it up, and if that does not work you may need to clean or even replace your bearing. You can also check the response pads. Make sure that they are flush with the side of the yoyo. If not, you can press them back into the yoyo. If they fall out, which does happen with regular use, they will need to be replaced. Make sure you do not get lube onto the response pads, because this can cause it to stretch out and stick out of the yoyo a little bit, and if that happens, most likely they will need to be replaced. Unresponsive ball bearing yoyos have a sleep threshold of 10 seconds – 2 minutes or more. So, with just a drop of the yoyo it should sleep 5-10 seconds no problem. With even a weak throw that is still straight, a 20-30 second sleeper should be relatively easy to get as well. If you cannot even get that much out of your yoyo there might be a problem. You can always open up the yoyo and make sure that the bearing can rotate. If it can not spin, you should try cleaning it, we have a video that shows you how to do that. If that does not fix the problem you probably need to replace the bearing. Now, when testing the upper threshold for your yoyo, the biggest variable affecting spin time besides your own throw, is the bearing itself. What I mean by that is, if you have 10 bearings that are identical, and you tested them all, there is a pretty good chance that one of them might perform substantially better than all the others. Maybe the balls just fit in there just right compared to the others, or it maybe has been blessed with the pixie dust of some random bearing fairy. Who knows? The point is, when we test for the upper threshold on yoyos, we generally stop counting after about the 2 minute mark, because really, when learning tricks the maximum sleep time for a yoyo is not nearly as important as just having good technique. Even if one yoyo has a maximum threshold that is twice as high as another, if your technique is bad during tricks, the friction caused by the string pushing into the side of the yoyo will kill the spin time on each just as quickly. In other words, having a yoyo with a super-high threshold might be good for bragging rights, but that extra spin time won’t necessarily increase your enjoyment when doing tricks. Because honestly, who wants to do this all day? What is more common with unresponsive yoyos is that they are not sleeping as long as they used to. Now, this can happen if you have had a yoyo for a while, but you have never lubed the bearing. It can start to feel a little gritty and that will negatively affect spin times. Also, if you notice that sleep times have diminished after lubing your yoyo with thin yoyo lube, you may have put in a little too much. You can break in that lube in pretty fast by performing a bunch of pinwheels quickly with a lot of force. Doing aggressive pinwheels like this for 5-10 throws might solve the issue completely, and as you play with the yoyo even more it will even out the lube and work better and better. If that still does not help, even after an hour or so of play, then most likely you waaaaay over lubed the bearing. In this case, you will need to clean it. Now, if you have an unresponsive yoyo, and it passes the Drop Test, and you can get it to sleep for at least a minute, but it is just not sleeping as long as you think it should, then that might be a different problem. For example, maybe it does not sleep as long as your friend’s yoyo, even though it is the same as yours. To figure out what the problem is here, try putting a new string on each yoyo, and switch yoyos, doing a long sleep test. It may be that one of you just throws better than the other. If it is clear that one yoyo is sleeping better than the other, try trading bearings, since bearings are the most important part of getting a long sleeper in an unresponsive yoyo, besides technique. In very rare cases, even when switching the bearing, one yoyo will not sleep as long as the other. This could indicate that something is wrong with that yoyo. It could be the response pads, or it could be that the surface around the response pads has a little burr or edge that is causing a lot of extra friction on the string. That is super rare. But, if it is there then it will affect your spin times, and it might also cause your string to fray or break prematurely. The nice thing is, it is easy enough to just sand that burr down with a little bit of sandpaper and that will solve the problem. Now, you may also have watched or read a review about a yoyo that said “Oh I got this yoyo to sleep for like 10 minutes,” so then you buy one, and you get it right out of the box, and you test it, and it does not sleep for even close to 10 minutes, and you are feeling like you got ripped off. Again, bearings are critical here, even identical bearings in identical yoyos, the spin time can vary greatly. At the end of the day, if your yoyo can sleep over a minute, it is best to just comfort your self with that and practice your tricks. Longer spin times really will not help you learn any faster. Hopefully this video has helped you out and cleared up some things, so that you can get back to the enjoyment that is yoyoing.